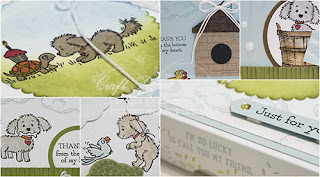 Just Julie B's Stampin' Space: Bella & Friends! 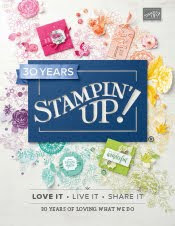 With this tutorial, create an adorable set of cards featuring Stampin’ Up!’s Bella & Friends Stamp Set. The tutorial includes a sweet “pizza box” to hold the cards, and there’s plenty of room for two of each card in the box! The images in this stamp set make for such a precious set of cards—one of which is a sweet easel design—and anyone who receives them will feel how much you care from the moment the card is pulled from the envelope. The box itself can be re-purposed for a gift or for daily use to hold note paper. This cute project was made by Regina Andari and you can get her tutorial when you subscribe to the month of September over at Craft Project Central.